You are viewing Katie Shanahan Yu's post archive. Happy Fall Hubbers! Here’s your Week in Review for Friday, September 25th! The New York Times has a plot twist for us! E-books sales have slipped, and apparently print is far from dead according to their latest headline. In honor of Bi Visibility Day, We Need Diverse Books put together a list of YA books with Bi lead characters. Marvel announces new Black Panther comic series to be written by Ta-Nehisi Coates. The Mary Sue takes a look back at how comics have dealt with domestic abuse plot lines. Are you all ready for Banned Book Week starting this Sunday? Lots of articles coming out in preparation for the big event. Here’s one discussing how most challenged books are either by or about people of color. Here’s the ALA list of the Top 10 most frequently challenged YA titles. Goodreads put together their Top 100 YA Books of All Time. 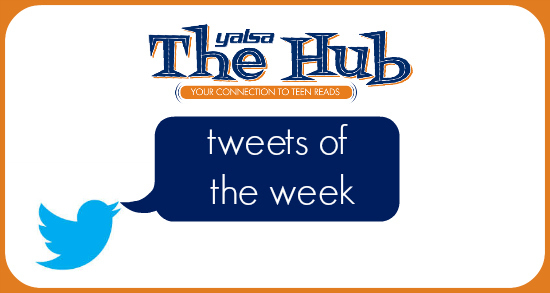 Here is a roundup of all the tweets you might’ve missed this week! Here is a roundup of the tweets that you might’ve missed this week! @GirlsinCapes . @Scarlettraynne talks sisters in #YAlit and how they reflect real sisters http://bit.ly/1HMrlcQ What YA sisters are your favorite? 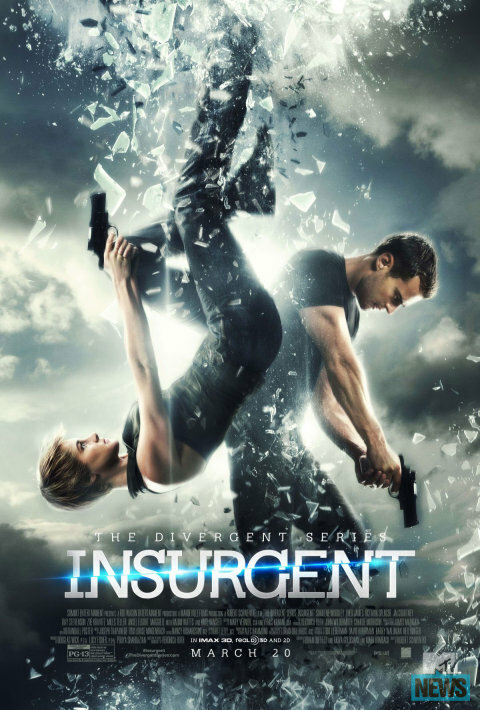 The second entry into the planned four part film series that is adapting our favorite Veronica Roth source material, known as the Divergent trilogy, has finally arrived. Insurgent made its debut last weekend amidst mixed reviews (31% rotten according to critics, 71% liked among fans) but still managed to top the box office with an estimated $54.03 million. Now the question that we are all clamoring for, how did the new director do with our beloved series’ second book? Let’s break it down by the top three questions that I get every time someone asks me about my thoughts of a book-to-movie adaptation. The film was entertaining, and it was very enjoyable as a fan of the series. The simulation sequences were action packed and intense. They were definitely created to be viewed in 3D, but you’re probably not missing too much if you’re cheap like me. Probably one of the best sequences is the first Dauntless simulation where Tris is fighting to get to her mother who is trapped in a rotating, burning box. This was probably the most visually interesting sequence, the one that managed not to go too over the top, and one of the few simulation scenes that didn’t feel like it was overtly pandering to the 3D technology. And most importantly when it comes to entertainment, have no fear shippers, the relationship between Tris and Four is still squee-worthy in this installment. There are some weird moments that happen concerning our central couple, one that involves a dream and Four’s mother to be specific, but aside from that the filmmakers really focus on how much these two trust and love each other. It’s pretty stinking adorable.